During the holiday season, Western Union differentiated itself from the competition and attracted new users by combining innovative advertising with out-of-home in Canada. For money transfer companies, the holiday season is the busiest and most competitive time of the year. 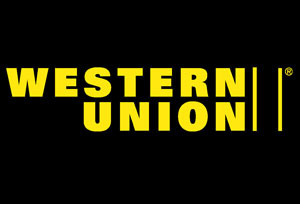 With service to over 200 countries, Western Union is the dominant player in Canada. For people who are far from their loved ones, sending money as a gift is a popular and convenient choice. For the holiday season, Western Union offered a discounted fee but it was still not the lowest price in the market. So the challenge was how to rise above the clutter during this peak season of advertising and turn a pricing promotion into something exciting, relevant and impacting. People send their far away loved ones holiday cards by mail or e-holiday cards to keep them close in spirit. Nowadays people send money electronically so there was an opportunity to leverage the connection of sending money and holiday cards. AV Communications developed a campaign to create buzz by staying away from directly announcing the discounted price. Virtual holiday card stores were created in transit stations, street cars, buses and on the walls of shopping centres. People could scan the QR code at the bottom of the card, which took them to a microsite where they could send a holiday card electronically. After the e-card was sent a message would invite people to send $50 for $5. After just one month, the campaign achieved an incremental 30% lift vs. 10% growth objective. The goal of increasing website visits by 50,000+ in 4 weeks was exceeded by 65%, and 81% of the visitors were new. The QR code delivered 4,471 scans, an average of 150 per day.